Traditional craftsmanship meets modern design in this Verona office. The simplicity of the Pure White complements the darker tones of the Driftwood finish, creating a fuss-free working space with a distinctive Shaker influence. 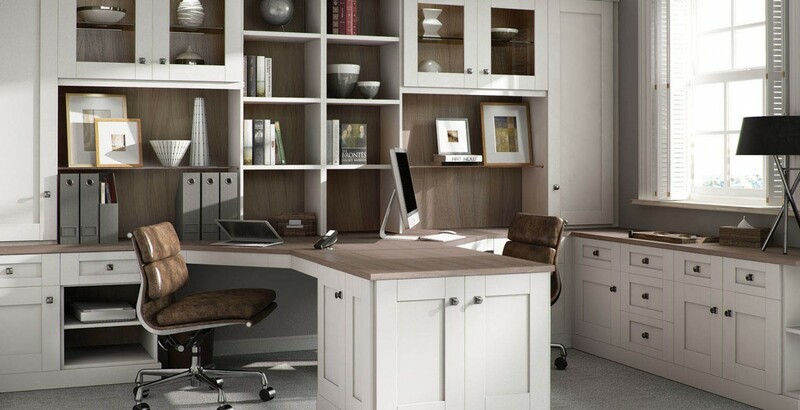 Simply styled, your classic home office furniture will incorporate a whole host of ingenious storage features, from pull-out printer trays to shelving units that are precisely measured to fit your needs.